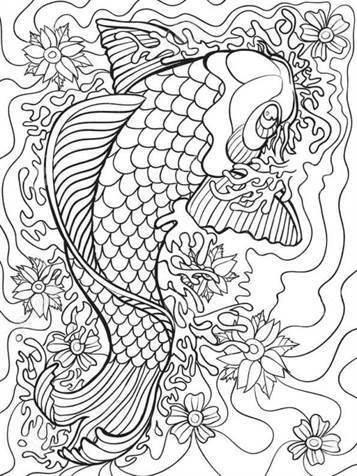 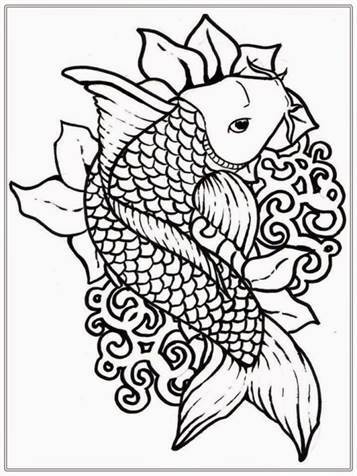 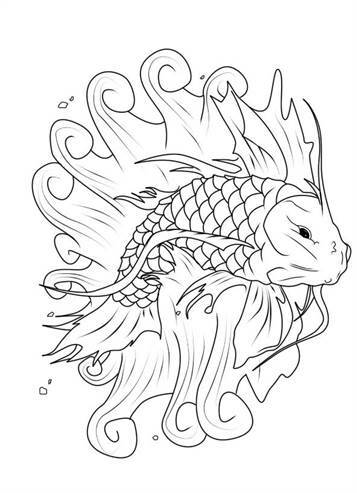 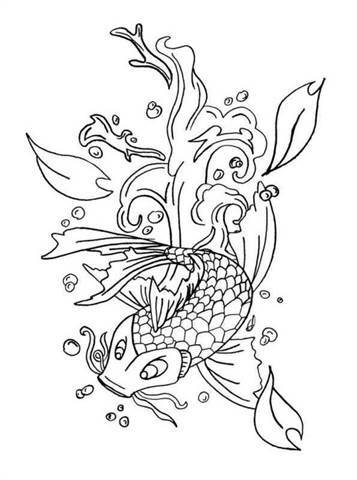 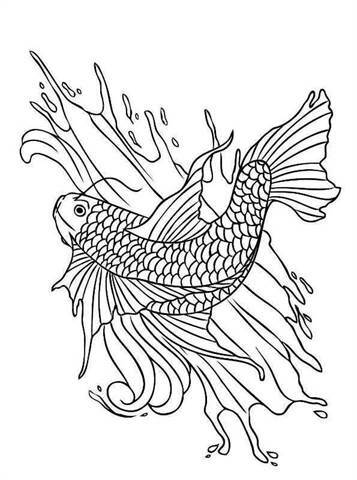 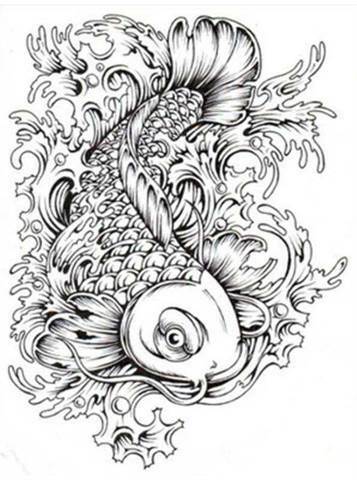 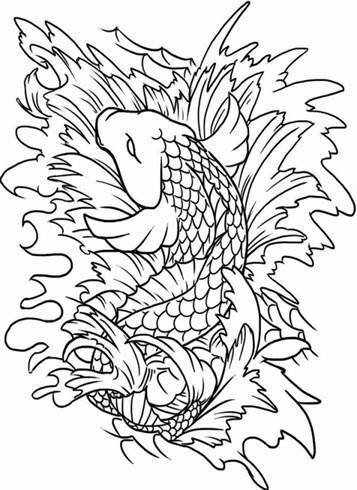 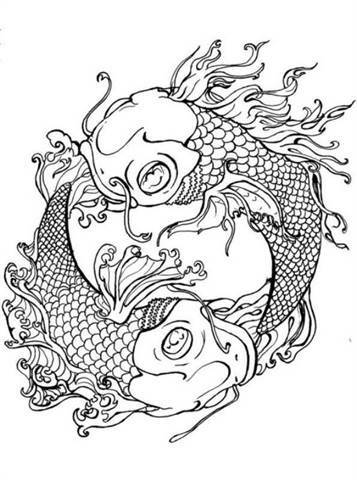 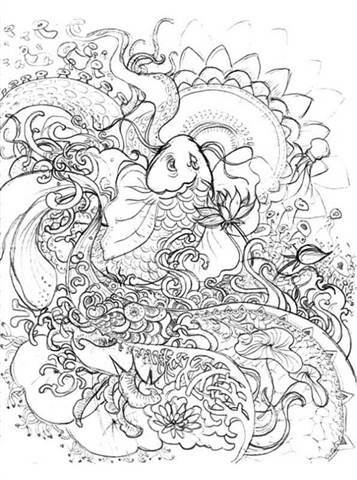 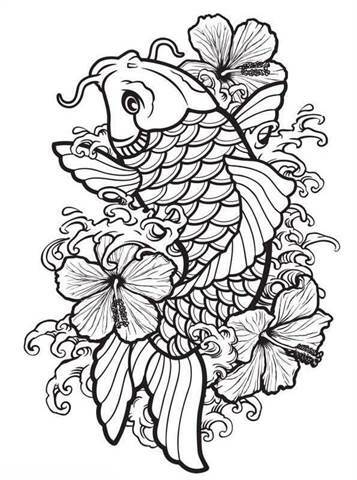 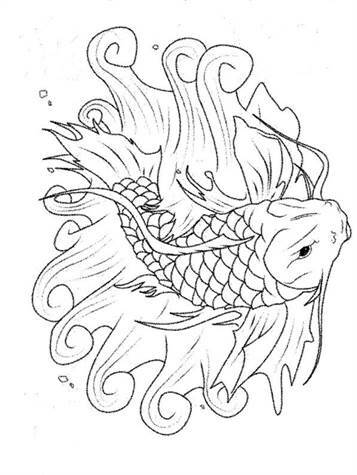 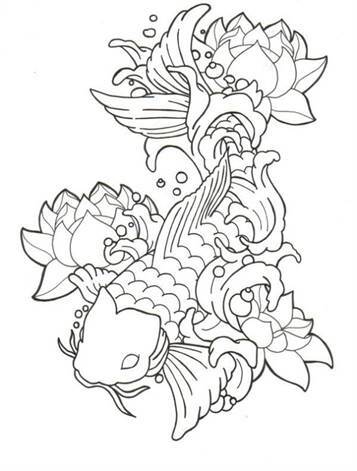 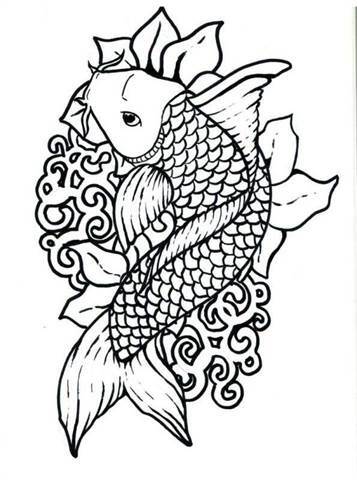 Coloring pages of Koi.Koi are carp, specially cultivated for the beautiful colors. 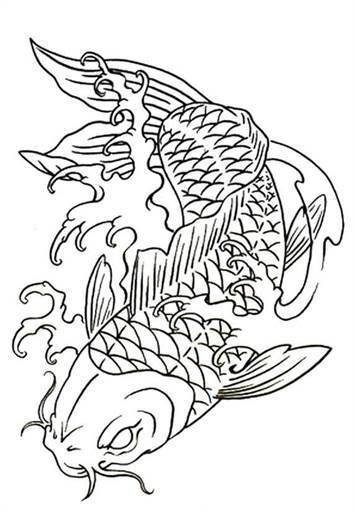 The Koi is originally from Japan. 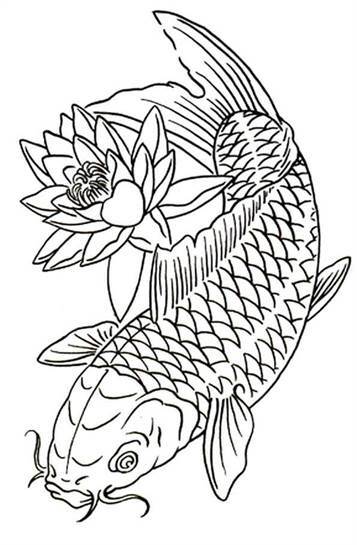 Koi carps can be 10 cm up to 70 cm. 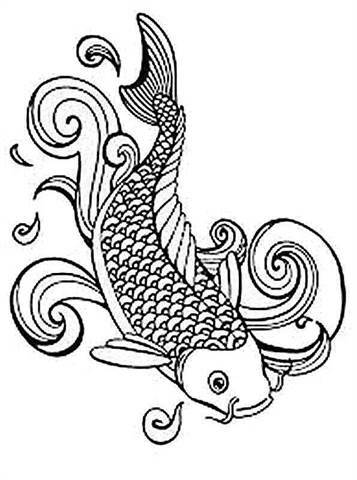 A Koi carp lives longer than 10 years and some even 60 years. 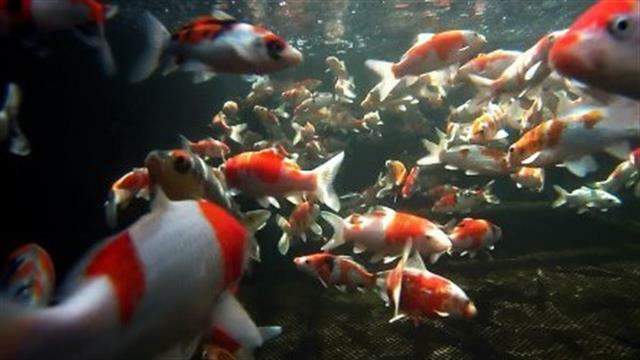 They can cost up to 1000 euros. 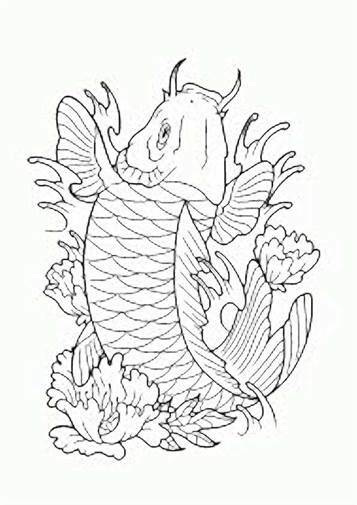 That depends on how big they are and how long.Japanese Koi carps usually have the colors of red-white-black and an orange dot on their heads. 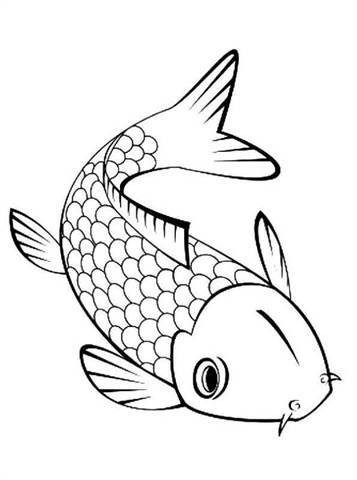 Between 1820 and 1830 Koikarper was first cultivated in the Japanese city of Ojiya. 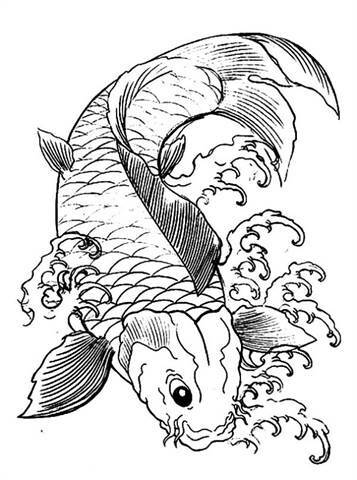 Carp were also eaten there and they were kept for the winter when there was no more meat. 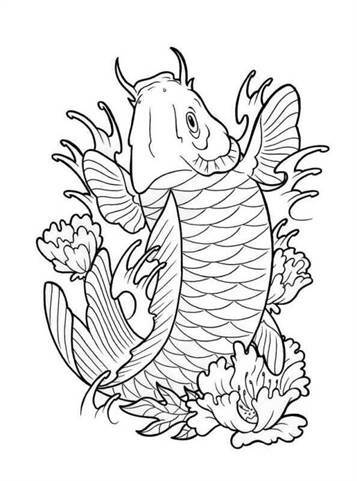 Because of the beautiful colors you can of course make fantastic coloring pages of these koi carp. 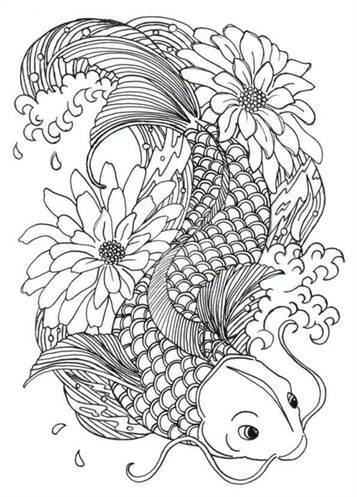 There are also difficult, detailed coloring pages for the adult colorists among us.